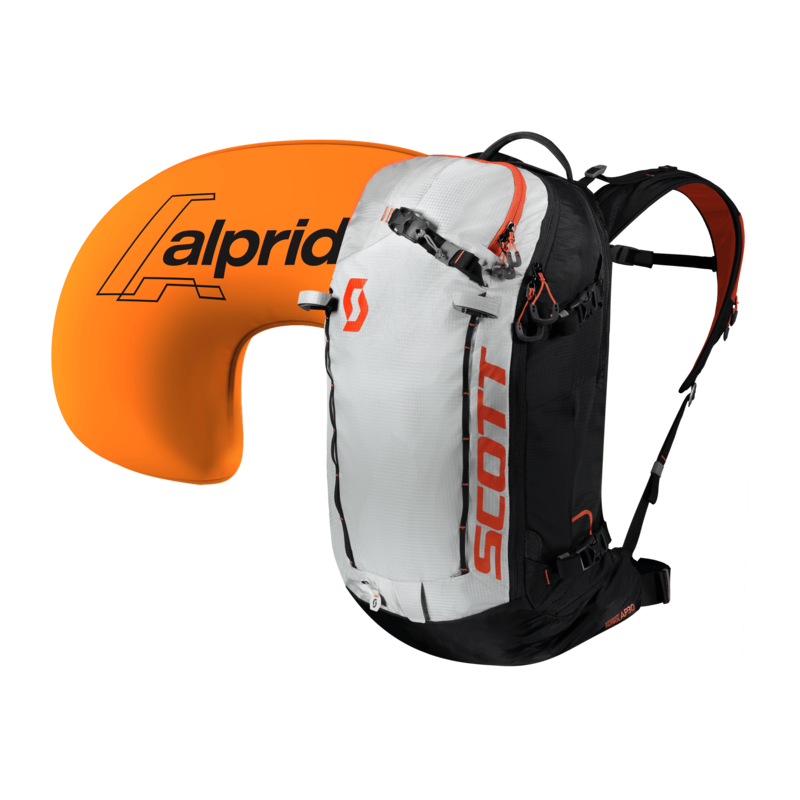 The SCOTT Backcountry Patrol AP 30 backpack is the ultimate freeskiing avalanche backpack, featuring the all new Alpride E1 airbag system. This fully electric airbag system pushes the boundaries of innovation thanks to its supercapacitor technology. It is the lightest airbag system on the market, with 30 litres of space to pack all your essentials for the day – elevating your safety for those unforgettable backcountry adventure days! High-speed 3-second inflation is activated from a ‘Back to the Future’ style rechargeable super capacitor battery and it’s cannister free, so no more airport check-in hassles! The full system weight is 1280g, 720g lighter than any other electronic system on the market, making airline baggage allowances somewhat easier too! Easy to use, easy to fly with – no excuses not to buy one! Side compression straps with A-frame ski carry system and front snowboard fixation function.